Swarovski Field Bag Extra Pro Extra Large (XL) impresses with its water-resistant and rugged surface materials and its modern, timeless design. 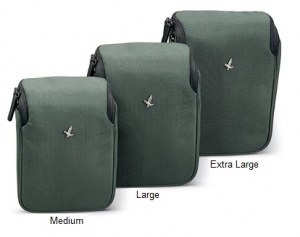 The bag’s wide opening allows binoculars to be easily removed and replaced. Suitable for the EL 50 and SLC 56.